Hospice care is focused on making a terminally-ill patient comfortable and offering support to the family and patient during this difficult time. We work to ensure the patient has specialized care to relieve pain and ensure comfort and dignity. Our approach is holistic, nurturing not only the patient’s physical body, but his or her emotional, spiritual, cultural, and social needs, as well as those of the family. Our caregivers are trained to help the patient and family process grief and our support is continued through bereavement and beyond. 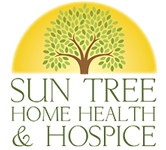 Sun Tree Hospice is dedicated to providing the utmost comfort and care. 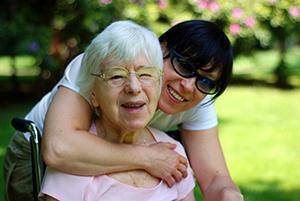 Hospice care is administered to those with a life expectancy of 6 months or less. During this time, Sun Tree Hospice works to ensure the patient has the highest quality of life possible. We want each patient to feel comfortable and dignified and be able to enjoy the remainder of their time with their loved ones. We openly communicate with the family so they fully understand what is going on and provide the family and patient with physical, spiritual, and emotional support during this time. Many family members take on the responsibility of being the primary caregiver—but you can’t do it alone. You need breaks for your own wellbeing. We provide support and care so you don’t have to carry that responsibility alone. Hospice care is most often given in the comfort of your own home where you can continue to live as normally as health permits. Medications are delivered directly and needed medical equipment is covered as well. We work to relieve and manage pain and the symptoms of the disease. Hospice care is designed to give high quality end-of-life care to make this transition easier on both the patient and family. Call Sun Tree Hospice to discuss your needs today!